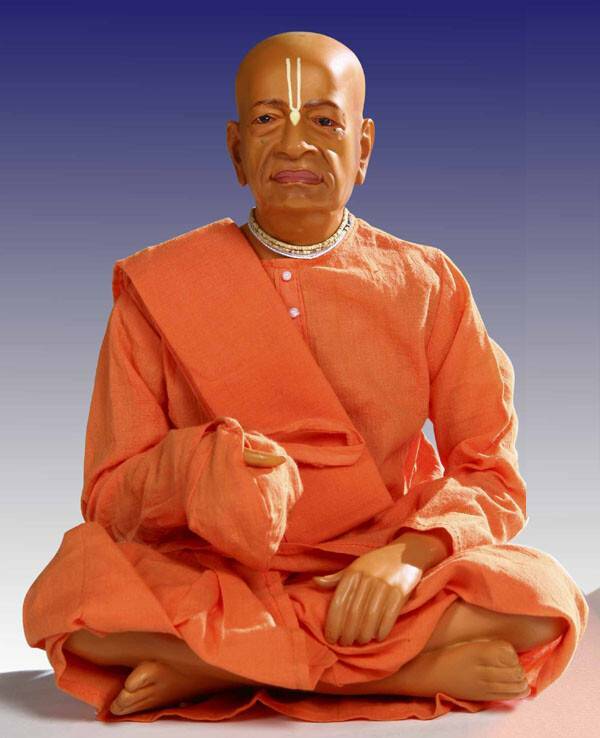 Amazingly lifelike Prabhupada Murti. Based on an original sculpture by Locan Dasa, comes complete with dhoti, kurta, chadar and bead bag. Available in Darshan style. 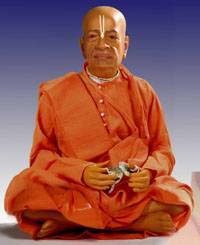 Until now very good quality Prabhupada murtis were not available except by special order and at a very high cost. 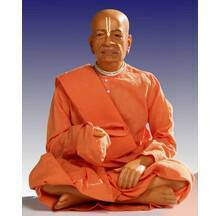 But now Srila Prabhuapda has very mercifully appeared in this magnificent 10.5" form. Srila Prabhuapda comes complete with dhoti, kurta, chadar, neck beads, brahmin thread and bead bag. The Prabhupada Kirtan Murti comes complete with a set of kartals. 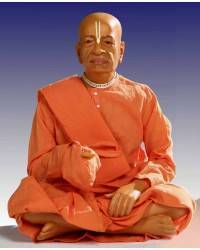 Srila Prabhupada, in this most beautiful form, will be very happy to appear in your house and accept service from you. 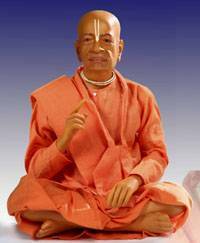 If you simply serve Srila Prabhuapda in his murti form by cooking nice food and offering it to him, by chanting the Hare Krishna mantra in front of him, by reading his books in front of him, Srila Prabhuapda will certainly give you his mercy. Please note that you can select from 3 different styles, japa, kirtan and darshan, you can see the photos above. 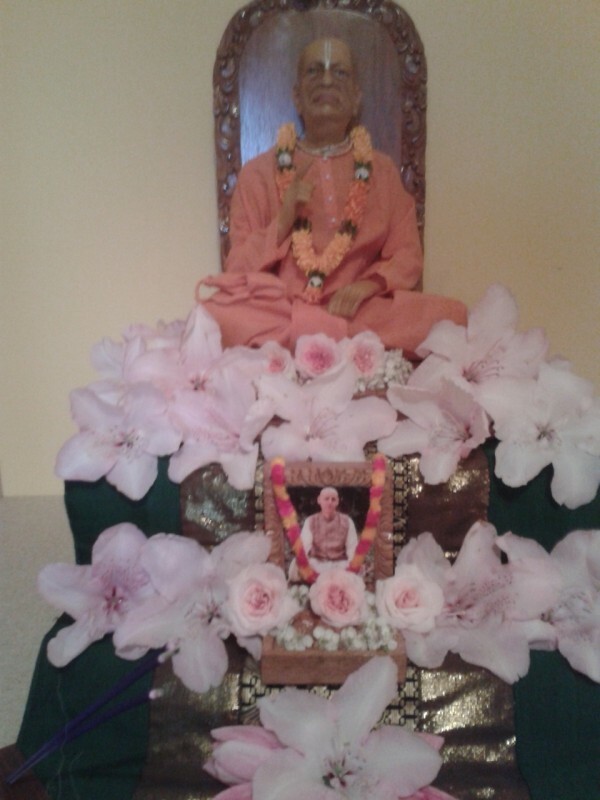 Currently viewing: Srila Prabhupada Murti 10.5"